90 Day Fast Start | Kay Rice, M.Ed. Congratulations and Welcome to the 90 Day Clean Eating/Lifestyle Make-over Challenge! We are delighted that you will be joining us in our quest to take control over your health and fitness and achieve optimal health. We have the coaching and expertise needed to create a successful outcome. Click on each of the tabs below to take you through the Fast Start Guide to get you all set up! Eat Your First Meal within an Hour Upon Waking. Eat All Three Macro-Nutrients at each Meal: Protein, Carbohydrates & Fats. Each Meal/Snack will contain approximately the same number of calories and the same ratios of Protein Carbohydrates and Fats. Water: Drink approximately half your weight in ounces of water per day. Exercise: Try to get a minimum of 30 minutes of exercise per day. Message Kay in the Facebook Group if you want suggestions based on your current level of fitness. Sleep: Everyone has a different requirement in order to be fully rested. Know your individual “sleep number” and try to get enough rest every night. Supplements: I suggest a liquid multi-vitamin and EFA’s (Essential Fatty Acids) for everyone. If you want further suggestions read my Article, A Word On Supplements. Since I won’t be just coaching the program this time, I’ll actually be doing it, too. I did some research and thought about my own program. Since I already eat pretty healthy, I wanted to start with the highest quality of foods possible! As I researched this, and pondered the number of people who consume way more sugar than they realize, and the number of people who have but are not aware of food sensitivities and intolerances. I decided to eliminate all sugar & sweeteners, grains (especially wheat products and corn products), legumes (including soy & peanut products), and artificial additives from my diet. This helped create more awareness about my foods, and also encouraged me to eat a bigger variety of fruits and vegetables since I eliminated most starchy and calorie dence carbohydrate sources (grains & legumes). Do you HAVE to eliminate these things from your diet in order for the program to work? No, and you can choose not to. However, this is only for the first 30 days, and I think it would benefit everyone to do this. This is not my first experience with elimination diets. Actually, more than 20 years ago I used an elimination diet to help rid my body of candida; I tried that same diet again to lose weight and discovered when I eliminated all whet products my joints stopped aching and I was a lot less bloated and gassy. That’s how I dicovered that I am somewhat gluten intolerant. Then our family tried the Feingold Method Diet, which eliminates all artificial additives and preservatives for my child who has ADHD. The diet was very hard to follow, especially for a child, but it worked! Then I learned that more an more people are becoming sensitive to, or intolerant of, wheat products, corn products, and peanuts. When coaching performance athletes and fitness models, we used to always recommend they give up all sugars, wheat, soy product & dairy products in order to achieve their peak body composition. So, I decided, why not START OUT with eliminating those things? Then, add them back, one at a time if you choose after at least 30 days and see which ones you really want to keep in your program. Join Our Private Facebook Group where you will get daily support, motivation and answers to your questions—and check in daily. Pin to Shortcuts: Pin the group to your shortcuts menu, which is in the left sidebar of your homepage. Do this by clicking on the three dots below the group cover photo and click on “Pin to Shortcuts”. How to Use this Journal & Getting started tips. 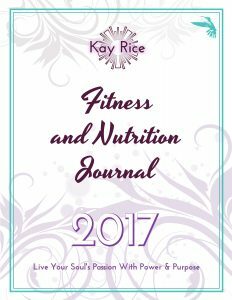 Daily Journal to Record Meals, Exercise, Water, Sleep, Supplements & daily notes. I’ve created two shopping guides for you. What I suggest is that you go through these guides and identify any foods that you know you will not eat and the ones that you will enjoy. Mark out the things you don’t want & create your own shopping list using the foods that you like or new ones that you would like to try.